Looking for something special to mark one of life’s many milestones? Want to make a once-in-a-lifetime event like a special birthday, a wedding, corporate team building outing, road trip, or even a family reunion unforgettable? Rent one of our party buses in Redondo Beach and you’ll turn any boring old event into something amazing. White Rose has been in the business of making every day unforgettable for years and they’ve created an entire lineup of one-of-a-kind custom-built party buses in a variety of sizes to fit any occasion. From large gatherings of 40 or more down to intimate groups of just a few folks—we have the perfect luxury ride for you. This is our top-of-the-line party bus in Redondo Beach. It features the ultimate high-end luxury package and a suite of newly upgraded electronics. 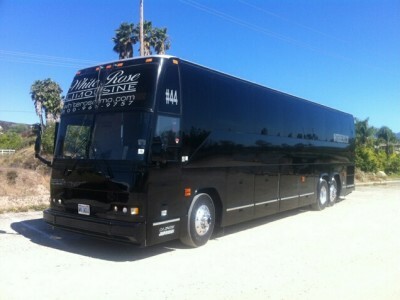 This 44 passenger party bus is perfect for large groups traveling to or from special events in Redondo Beach. With so much space, this party bus can carry an entire family, the gang from work, school groups, social groups, large parties, and more with room to spare. The interior of this bus has been retooled with modern elegance—marble floors, creamy leather, fiber optic lighting. Climbing aboard is like stepping into a luxury suite at a Vegas hotel. Plus you get a private restroom (for those long road trips) and a secluded VIP area at the back of the bus to make the guest of honor feel like a king or queen. This is the classic—what everyone thinks of when they hear the words Party Bus. Redondo Beach will never be the same when you and yours roll up in this sleek black machine. Perfect for wild bachelor and bachelorette parties on the beach, pub crawls, or once-in-a-lifetime birthday party celebrations, the interior of this bus can also be “toned down” a bit to accommodate more traditional groups such as kids going to prom, Sweet 16 partiers, and Quinceañera parties. Don’t need an extra-large party bus in Redondo Beach? You can still travel in ultimate luxury even with a small group of friends or family. Our new Mercedes sprinter limo bus has been completely outfitted with all the luxury appointments you’ll find in our large 44 passenger party buses including leather seats, video screens, sound systems, and a complimentary beverage bar but on a much smaller scale. The more intimate setting is great for smaller parties of just a few friends (up to 16). Need something in between? Our mini party bus in Redondo Beach is just the right size. 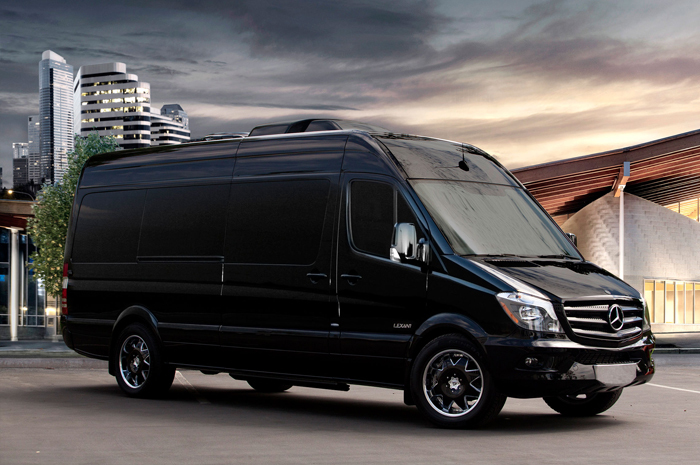 It can easily accommodate up to 30 passengers in the ultimate luxury but slips in and out of traffic with ease. You’ll still get luxury leather seating, fun lighting options, dance poles, big-screen video systems, and a complimentary beverage bar – but you’ll save a little money for whatever you plan on doing when you get to Redondo Beach. 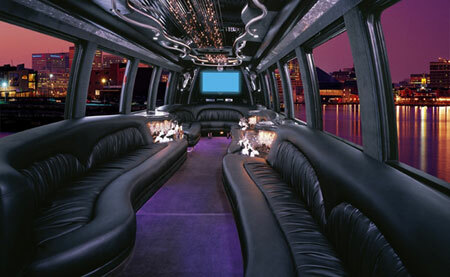 Stuck for ideas on how to make your party bus rental in Redondo Beach amazing? We’ve compiled a list of some of the best things to do in the area in hopes of sparking some creativity. From wild to mild, your bachelor or bachelorette party in Redondo Beach will be unforgettable when you rent one of our amazing party buses. 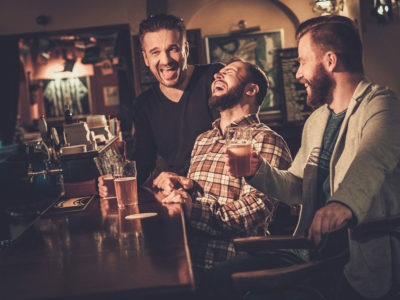 Whether you’re planning a pub crawl for the boys through Thirsty Club, The Pitcher House Upper Deck, and Baja Sharkeez, or something a little more sedate like a spa day for the girls at any one of the Thai body massage spas or Three Rivers Day Spa in Redondo Beach, we can get you to and from your destination in comfort and luxury. Plus, our complimentary beverage bars ensures the party never stops—not even between destinations. Have a group of friends that share a passion for ballet or Broadway Style musicals? Gather everyone on a party bus to Redondo Beach and visit the Performing Arts Center. 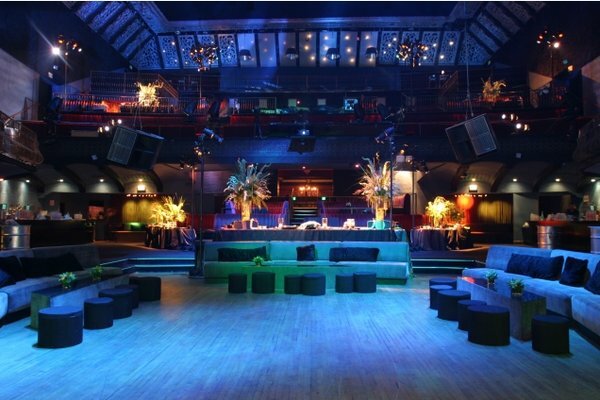 This 40,000 square foot venue is the crown jewel of the South Bay Arts scene, featuring world-class entertainment and special events throughout the year. You can turn dinner and a show into something simply amazing by gathering all your friends together and riding in style. We have party buses that can hold 10 people and some that can hold 40 or more in comfort and luxury. So plan your special night out in Redondo Beach then call us for your group transportation needs. Your little girl only turns 15 once but we all know the Quinceañera celebration is an excuse to get the whole family together and have fun. You can make your little girl feel like the princess she is while making all the brothers, aunts, uncles, and cousins feel like royalty in a luxuriously appointed party bus in Redondo Beach. Our mini party bus is just the right size for parties of 20 to 30 people and is more affordable than you think. Looking for Team Building activities in Redondo Beach? Get your gang out on the water with kayak rentals and tours. It’s a great way to have fun, get to know one another a little better, and break out of the office for a day. Kayaking not your thing? How about a sport fishing charter right out of the harbor? But don’t make everyone drive from near and far. Our party buses to Redondo Beach can pick you and yours up anywhere in South Bay and deliver you to and from your seaside team building excursion in air conditioned comfort. Plus the complimentary beverage bar can help shy cubicle dwellers break out of their shells. 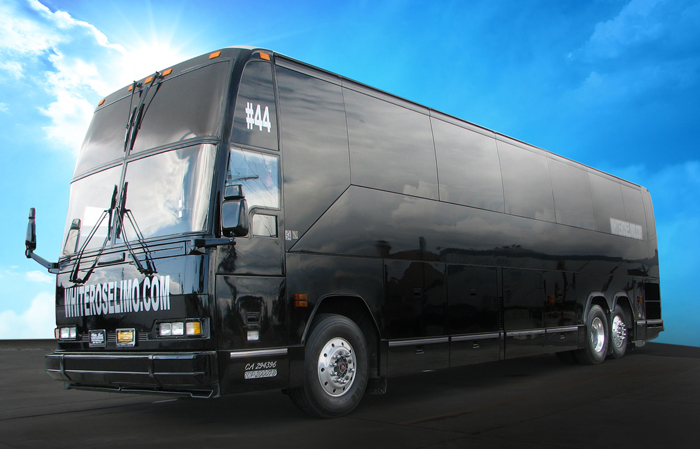 From 10 coworkers to 40 or more, we have the right Bus Charter for you. Looking for an excellent wedding reception venue in Redondo Beach? With so many to choose from, the only trouble you’ll have is picking the right one. Like upscale luxury? The Catalina Room might be right for you. Looking for a picturesque outdoor venue? Check out the Village Garden. Want a waterfront reception? The Portofino Hotel & Marina is amazing. Wherever you choose, our limo bus rentals in Redondo Beach can help transport your wedding party (or your whole guest list) to and from your perfect reception venue. 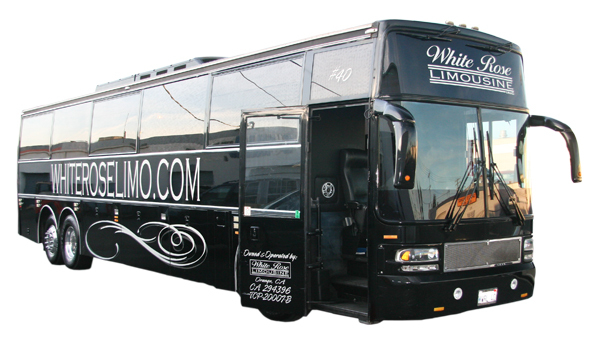 Get in touch with one of White Rose’s helpful customer service agents to reserve your party bus to Redondo Beach today. Still not sure which bus is right for you? Arrange an appointment to see any of our rides in person before making your selection. Need more ideas about how to get the most out of your rental? Our experienced staff members can help you plan the perfect day (or night) trip to Redondo by suggesting venues, attractions, restaurants, and watersports rental services. Think a party bus is out of your budget? Our party bus rentals in Redondo Beach are extremely affordable. Contact us for a free online quote or call 714-288-0066 right now.